How much should you be spending on your digital marketing budget? If you’re a start-up or a small business that’s trying to get to grips with your marketing budget, then we are certain you have asked yourself this question in recent months. Are you spending enough to make sure your ads are reaching your target audience? Maybe you’re spending too much and leaving yourself short for the rest of the year? The study surveyed businesses in six revenue brackets – under 1 million, 1 to 5 million, 5 to 10 million, 10 to 20 million, 20 to 50 million and over 50 million – in order to gain insight into how they would be investing in digital marketing over the next two years. Additionally, the study analyzed which digital marketing channels would be most popular. The findings reveal an overall shift toward online marketing channels across all business categories. They also reveal that many smaller businesses still struggle to effectively measure ROI and conversion rates. Furthermore, social media is by far the hardest channel for businesses to manage. Unfortunately, there is not a one-size-fits-all answer, and it is very dependent on your own business size. However, we’ve come up with some top tips that will help you create an effective digital marketing budget. How much am I spending on my digital marketing budget at the minute? How much of that goes into each area – social media, email, SEO etc. What tools do I need to get the most out of my digital marketing budget and how much do they cost? Are there any other expenses I need to plan for? You’ll want to approach your marketing budget with clear and realistic direction, goals and objectives for the coming months. Do you want to enhance your brand awareness? Maybe you want to gain new customers, or focus on remarketing and retaining previous customers? Whatever it is, make sure your entire marketing team are clear on the goal, and outline the objective you need to put in place to get there. Set a time-frame for these objectives and constantly review and analyse your progress. If something is working, make sure you know why and focus on that. If it’s not working, cut it out and quickly ask yourself what was going wrong? Don’t waste money on ineffective marketing campaigns and allocate money to different strategies based on how successful they are. Review the previous year’s attempts and see what worked and what didn’t. Imitation is the biggest form of flattery, or so they say. You should never copy what your competitors are doing, but you should definitely look to them for inspiration and see what works for them. Keep up to date with industry trends and look at areas such as social media, email newsletters and landing pages. Are they missing out on something, which you could be doing in order to stand out? Try and discover a niche and go with it. And don’t just be inspired by their successes, look at their mistakes and learn from them too. To avoid the shock of, ‘Oh my god, did we spend all of that on digital marketing?’, make sure you prepare for hidden costs. 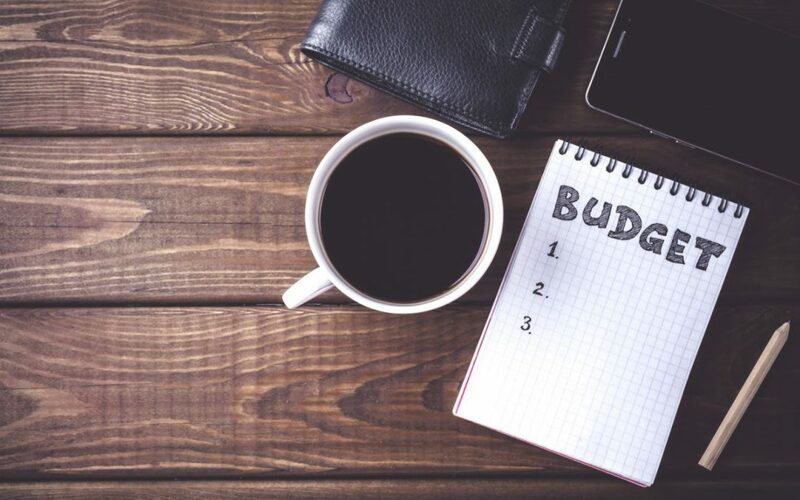 By having and maintaining a budget spreadsheet and entering your data as and when you are spending money, you will be able to keep track of your finances. Unanticipated costs can force companies to hand over money for things they hadn’t planned for, and this can have a knock-on effect on the entire business. Ensure you are being realistic with your budget and are fully aware of all the costs involved in promoting your latest product or service. There are a few things you can do yourself and effectively scratch them off your marketing budget such as press releases and worrying about a mobile app. Instead of paying someone to write an online press release for you, which Google doesn’t really like in terms of SEO, why not own your own content and create one for yourself? Write a post on your own website or blog, include links to the product or service which you are focusing on and promote it across your social media channels. Google prefers websites which have quality content that’s fresh and original, rather than ‘unnatural’ press releases. Another thing you can forget about is worrying about developing an app for your website, and just ensure it’s optimised for mobile phones. You would be surprised at the number of websites which aren’t mobile-friendly, and in 2018 this is critical if you want to gain any kind of traffic on your site. Spend some time and money ensuring the site is responsive to all mobile devices and design it with the visitor in mind.